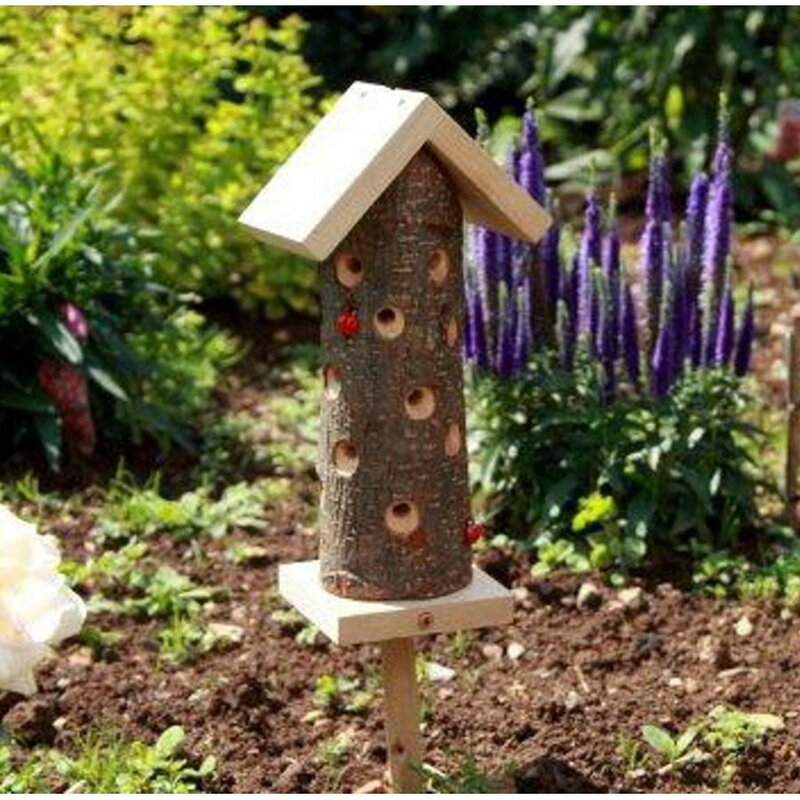 A natural habitat for ladybirds and other beneficial insects. 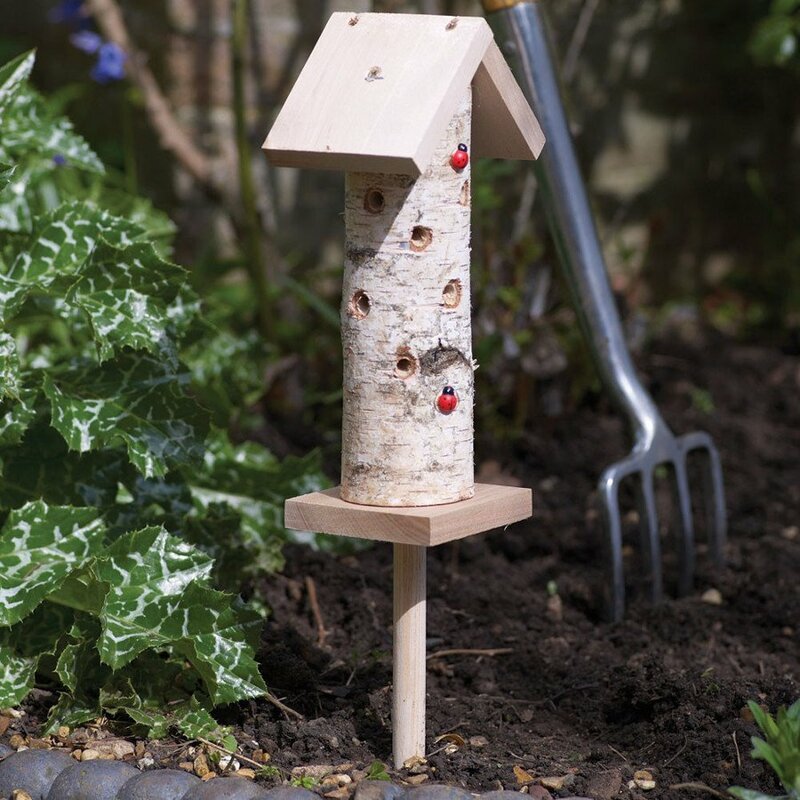 The Ladybird Tower has a central chamber filled with natural material and there are many holes drilled at an upward angle for the insects to reach the insulated and safe inner chamber. If necessary a roof panel may be removed for inspection or cleaning. A ground pole is provided so that the tower is easy to site into lawns, sheltered flower beds, wooded glades or even in planters. There are currently no questions to display about Ladybird/Insect Tower (including pole).